Tour length is approx 1 hour 30 minutes to 1 hour 45 minutes including training. Age: 12 years and over. Recommended weight under 120 kg ***please contact us prior to booking if you do not meet the recommended weight range. For more information please read our FAQ - Frequently Asked Questions. Breathtaking routes, travel around beautiful Brisbane sites and landmarks. difference. Our tour guides rock! One on one training and small tour groups make for a personal experience. 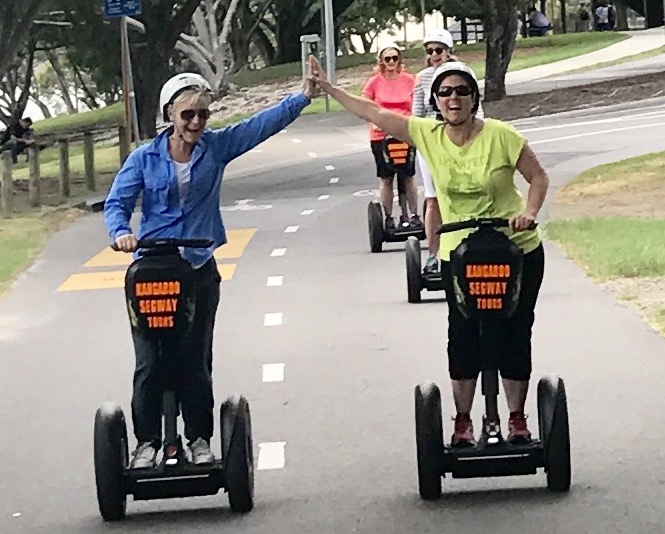 After 15 minutes of fun training on how to safely operate the Segway, you'll explore Brisbane with a friendly tour guide.